The Small Guys Festival is rockin’ it out with the Garagistes! We had so much fun the first time we're doing it again - ! You’ve heard of the little gems, the boutique wineries, the cult followings and the maverick winemakers, but they are often hard to find or to get to. Now we showcase the small case lot artisan wines commercially produced–all gathered in one spot. What’s a garagiste (GAR-aH-jeest )? — It’s a label coined in France to indicate those who stepped outside the lines and broke the rules, taking risks and making small case lots or micro cuvees in their ‘garage’. We think you’ll agree that some interesting things are happening at the front edge of winemaking with these passionate winemakers and growers. Kelowna August 18th 2-4:40 PM The Small Producers Festival will be in Kelowna. These events are organized by Garagiste North. It was born out of many conversations with small producers who are faced with the difficult realites of getting their wines to the public, and wine lovers who are always looking for those interesting and unique producers but often have difficulty finding them. It seemed like a perfect solution, and a great way to spend an afternoon or evening. Hope you'll join the party! The Latest from the Garagistes! Stay tuned for further news and details on harrowing winemaker heart-stopping moments on this dramatic season: As the Barrel Turns. We will also be announcing the 2016 Garagiste wines that are sure to get palates wagging. So Much Fun--Let's Do it Again! They came, the drank, they tasted and they left. And if you missed it, check out these great articles to give you a feel for the event: We're doing it again in Kelowna, September 27th, come join the party! Who are the ‘small guys’ of the BC wine world? They are several small, wineries, both physical and virtual, which are very specialized and thus produce what’s called ‘small lots’ or under 2000 cases of wine per year. These small artisan producers are modeled on the ‘garagiste’ winemakers of France, who gained attention producing impressive wines in their garages. 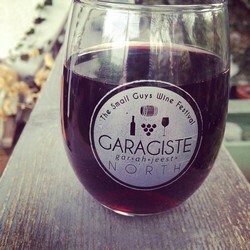 What is a garagiste? (gar-ah-jeest). It started out in France (of course) where it was a derogatory phrase for those avante garde and crazy mavericks making wine in their garage and outside the highly regulated system. Gradually and grudgingly came the acknowledgement that something really interesting was happening with these small case lot artisan wines, and a movement was born. Anarchist. River Stone. SEVEN DIRECTIONS. NAGGING DOUBT. CoRCeleTTes. Roche. SynCHROmesh. Kraze Legz/Skaha ROCHE. Niche. Couldn’t fit everyone in but we are committed to bringing you all these stories over the course of the year. They are all driven, passionate winemakers who qualify by producing under 2000 cases a year and use only BC Fruit. 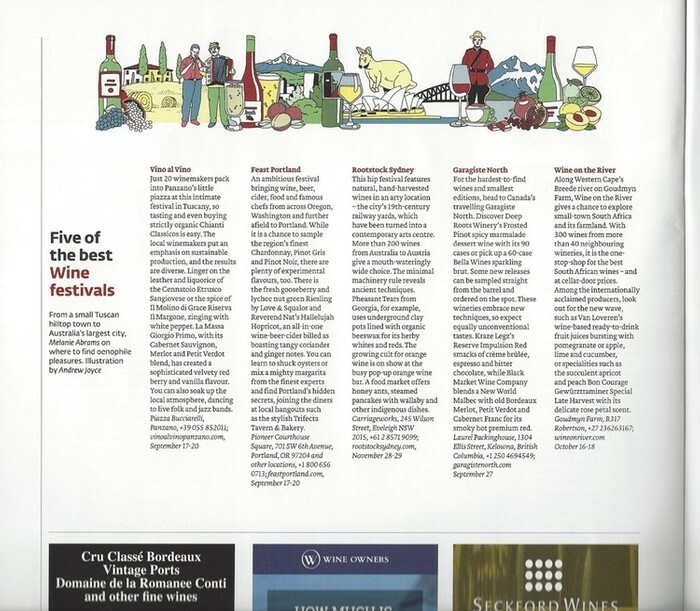 Small they may be but these wineries have an effect on the future of BC wines. Spring 2017 - It is Coming, Right? Watch Out....Three Days to Go! Only Six Days to Vancouver's Event!